Virtualisation is the process of creating a software-based (or virtual) representation of something rather than a physical one. Virtualisation can apply to applications, servers, storage and networks, and is the single most effective way to reduce IT expenses while boosting efficiency and agility for businesses of all sizes. IT organisations are challenged by the limitations of today’s x86 servers, which are designed to run just one operating system and application at a time. As a result, even small data centers have to deploy many servers, each operating at just 5 to 15 percent of capacity — highly inefficient by any standard. A virtual computer system is known as a “virtual machine” (VM): a tightly isolated software container with an operating system and application inside. Each self-contained VM is completely independent. Putting multiple VMs on a single computer enables several operating systems and applications to run on just one physical server or “host”. A thin layer of software, called a hypervisor, decouples the virtual machines from the host and dynamically allocates computing resources to each virtual machine as needed. 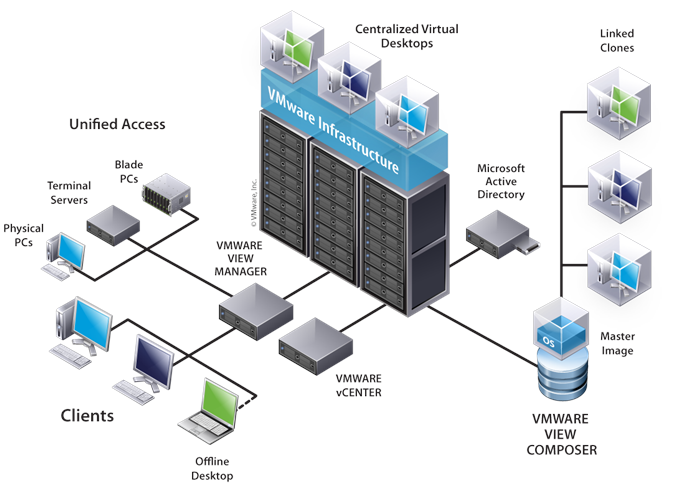 VMware vSphere , the industry-leading virtualisation platform, empowers users to virtualise any application with confidence, redefines availability and simplifies the virtual data centre. The result is a highly available, resilient and on-demand infrastructure that is the ideal foundation of any cloud environment. This can drive down data centre cost, increase system and application uptime, and drastically simplify the way IT runs the data centre. Achieve consolidation ratios of 15:1 or more and improve hardware utilisation from 5 to 15 percent to as much as 80 percent or more — without sacrificing performance. Reduce capital expenditures by up to 70 percent and operational expenditures by up to 30 percent to achieve 20 to 30 percent lower IT infrastructure costs for each application running on vSphere. Use a common, standards-based platform to leverage existing IT assets alongside next-generation IT services, and enhance vSphere through open APIs with solutions from a global ecosystem of leading technology providers.